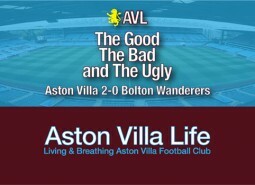 AVFC | Aston Villa Life - An Aston Villa Blog and Mobile Site for iOS and Android > "Bolton Wanderers"
Following Dean Smith’s first full week of training with the Villa squad, Bolton came to Villa Park Friday night and were sent home on the wrong end of a 2-0 scoreline with Jack Grealish and James Chester providing the goals. By Smith’s own admission it was a mediocre performance, but it was a needed three points and clean sheet. 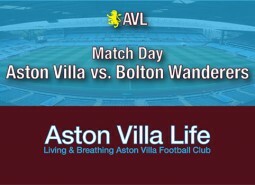 Just two weeks into the Dean Smith era and it will be Aston Villa’s fourth outing under his guidance as Bolton come calling. Talk about hitting the ground running. So far, it’s been a mixed bag, results-wise, but I’m going to take James Chester at his word when he says the style and performances are getting better. He ought to know better than I.